Hello crafty friends! Fall is here in spirit even though not in temperature. Quite warm here (90) for a northerner. 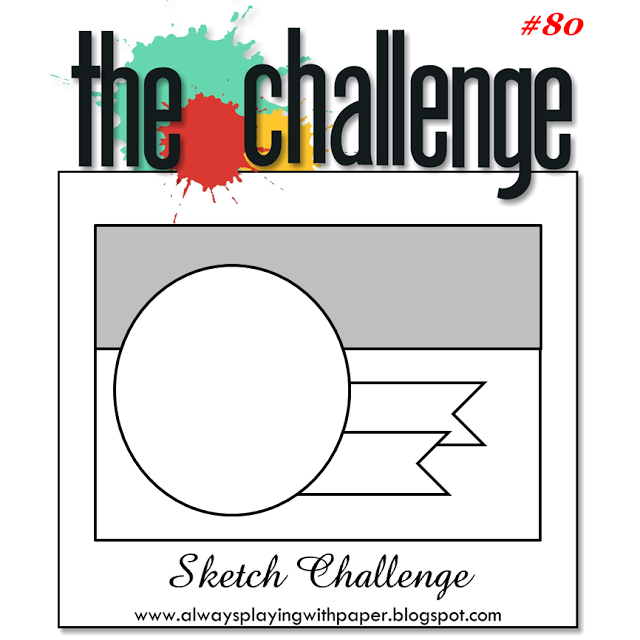 I made this card for the Always Playing With Paper sketch challenge. 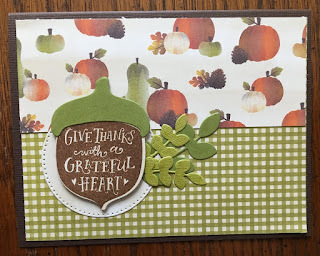 I used patterned card from American Crafts Pumpkin Patch stack. The dies and and stamps are by Reverse Confetti. 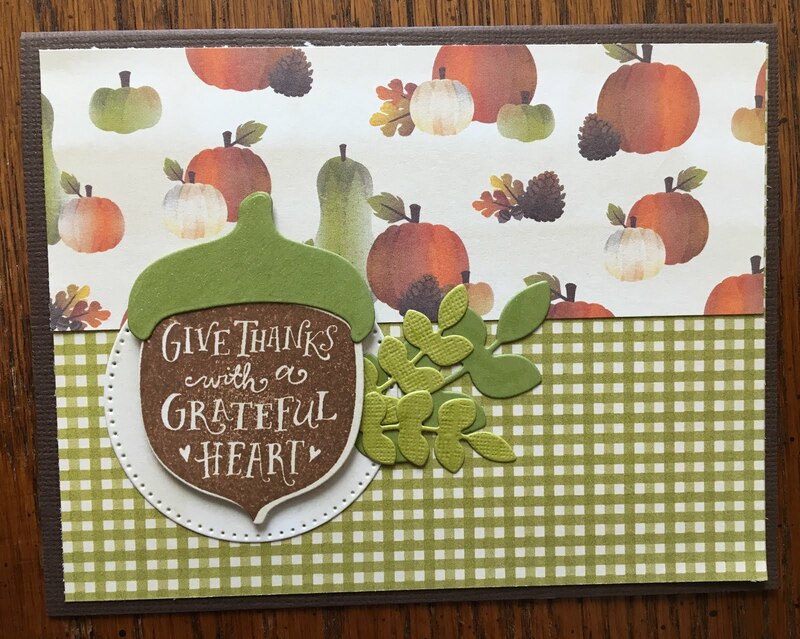 The acorn is one of their newer releases, Happy Harvest.